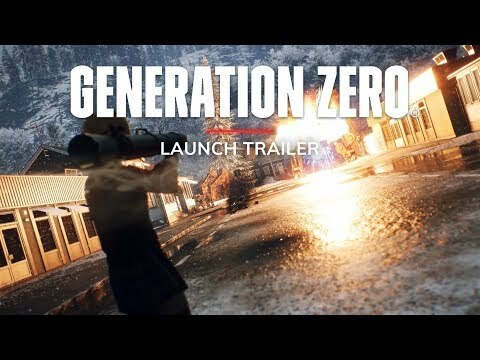 Generation Zero - Buy and download the game here! Welcome to Sweden of the 80s. The population has disappeared, and machines are marauding in the streets. Explore a vast world to solve the puzzle, perfect your fighting strategies and strike back. SURVIVE IN A HOSTILE WORLD. Explore a vast open world rendered with the award-winning Apex engine. Experience the full day and night cycle with unpredictable weather, complex AI behavior, simulated ballistics, realistic sound worlds, and a 1980s dynamic soundtrack. Experience an explosive cat-and-mouse game in a big and open world. Immerse yourself in the Sweden of the 1980s, where enemy machines overrun the idyllic landscape. It's up to you to strike back and at the same time pursue the question of what's actually happening here. Using battle-hardened guerrilla tactics, you should succeed in luring away, damaging and destroying enemies in creative sandbox battles. Do it alone or team up with friends in seamless co-op multiplayer mode. Use your individual skills together to defeat enemies, resurrect fallen players, and split the loot after a win together. STEALTH AND STRATEGY. LIST AND STRATEGY. WORK TOGETHER TO SURVIVE. All opponents follow a continuous simulation and move through the world with a clear goal. If you manage to destroy parts of their armor, weapons or sensors, this damage is permanent. Opponents will bear this damage even if they encounter you again - no matter if a few minutes or weeks later. The enemies in Generation Zero come in different sizes, types and variations. With a large selection of weapons and sensory equipment, they constantly challenge you anew. © 2018 Avalanche Studios. All rights reserved. Published and developed by Avalanche Studios (Fatalist Development AB). Avalanche and its logotypes are trademarks of Fatalist Development AB companies in Sweden, the U. S. and/or other countries. 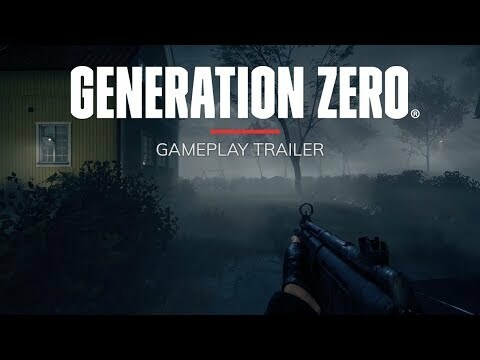 Generation Zero® is a registered trademark or trademark of Fatalist Development AB companies in Sweden, the U. S. and/or other countries. Uses Apex - Avalanche Open World Engine. Apex - Avalanche Open World Engine and its logotype are trademarks of Fatalist Development AB companies in Sweden, the U.S. and/or other countries. All rights reserved. Requires 64-bit processor and operating system.